Contrary to popular belief, buying a foreclosure home is generally much faster than handling a normal home purchase. During a foreclosure purchase, you may be completing several steps in the purchase procedure at a single time. 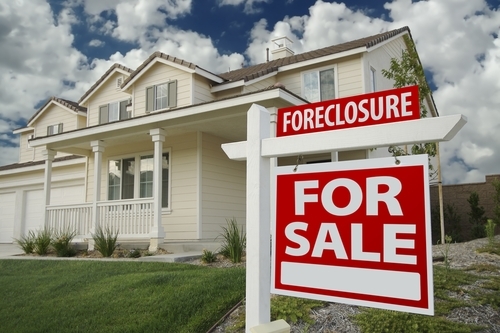 This article will provide information on how to effectively purchase a home in foreclosure. The aim of searching through foreclosure listings is not to locate a house, but to find an agent. Banks will typically hire real estate brokers to handle the real estate owned properties. This indicates that the property has been foreclosed on, and the lender is now the owner and seller of the property. Most times the buyer does not work with the agent; therefore, not splitting the commission between two brokers. Unless you are planning on paying cash for a property, it is recommended that you get a preapproval letter from the lender. This letter details how much money can be borrowed based on the assessment of your income and credit score. Unfortunately, many buyers first want to find the house and then organize the financial situation. The issue is that these properties are bank-owned and will be sold quickly; therefore, the buyer may not have the necessary time to organize financing. To avoid this challenge, it is recommended that you deal with financing first and then choose a house. While there is not a rule of thumb regarding the bottom line on price, it is advised that you evaluate the recent sales prices of “comps” or comparable properties. This will ensure that you have a competitive offer based on current market conditions. In some cases, the bank prices the property low to ensure there are multiple offers made within hours, but it is not necessarily the most competitive price. If the foreclosed property you are considering sells quickly, it is recommended that you bid high, unless the property has been on the market for a long time without activity. The house and its location matter, but some homes will sell more quickly than others. In the case of foreclosures, larger properties are more popular than smaller homes that sit on the market for several weeks or months. Of course, this will always depend on the current market conditions. As can be seen, there are certain issues one must take into consideration when purchasing a foreclosed home. Using the steps above, you can find and buy a foreclosed property effectively.